The Antitrust Division recently issued its 2016 annual spring update. Taking advantage of modern technology, Bill Baer—now the Acting Associate Attorney General serving in the DOJ’s third-highest ranking position—prepared video remarks for your viewing pleasure. (Still, most of the Division’s updates were included in written commentary.) 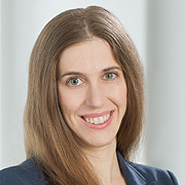 Renata B. Hesse now serves as the Principal Deputy Assistant Attorney General responsible for overseeing the Antitrust Division. The Division noted four recent trial victories in cases involving Apple, H&R Block, Bazaarvoice, and American Express. Most recently, in March 2016, the Supreme Court denied Apple’s petition for certiorari, leaving the Second Circuit’s decision in place. That decision triggered Apple’s obligation to pay $400 million to e-book customers as part of an agreement that Apple previously negotiated with state attorney generals and others. • Citicorp, Barclays, JP Morgan, and The Royal Bank of Scotland agreed to plead guilty to Sherman Act felony charges for conspiring to manipulate the foreign currency exchange spot market, and to collectively pay over $2 billion in criminal fines. The fines paid by Citicorp, Barclays, and JP Morgan are the three largest fines ever imposed for a criminal violation of the Sherman Act. • Former e-commerce executive David Topkins agreed to plead guilty for conspiring to fix the prices of posters sold online through Amazon. Topkins and his co-conspirator allegedly agreed to end price competition by using algorithms to track the others’ prices and coordinate changes to poster prices. • The CEO of a company that provides heir location services agreed to plead guilty to participating in a conspiracy to eliminate competition between heir location service providers by engaging in regional customer allocation. These cases were only some of the Division’s enforcement activities over the past year: Baer noted that during the Obama administration, the Division secured more than $8 billion in criminal fines and penalties, and over $30 million in disgorgement and civil penalties. 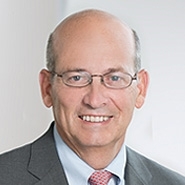 Baer noted that during the Obama administration, the Antitrust Division has prosecuted over 425 company officials. (During this same time period, 144 companies were charged.) Those efforts continue: for example, later this year and into 2017, the Division expects to try charges against real estate investors in the southeastern United States and northern California who allegedly conspired to rig bids in mortgage foreclosure auctions. • Cooperation in connection with the Division’s investigation into alleged bid-rigging and price-fixing conspiracies in the ocean shipping industries. This investigation has resulted in U.S. charges against seven individuals and three companies, and $136 million in fines. • Cooperation with enforcers in more than 10 jurisdictions (including Australia, Brazil, Switzerland, and the UK) in connection with the DOJ’s investigation into the foreign currency exchange spot market, discussed above. • Cooperation with other jurisdictions in connection with merger and acquisition investigations, such as the proposed Applied Materials/Tokyo Electron merger and General Electric’s proposed acquisition of Alstom Energy. • Signing a Memorandum of Understanding with the Korean Fair Trade Commission, and strengthening the Division’s existing relationships with the Canadian Competition Bureau and Mexican Federal Competition Commission.